Getting into cruelty-free cosmetics can be challenging when you have no idea where to start. Let me break it down so that you can better understand the cruelty-free basics and start introducing cruelty-free brands into your lifestyle today! The term “cruelty-free” refers first and foremost to animal testing. A cruelty-free brand is a brand that doesn’t test on animals at any point during the product of its cosmetics. This means that neither the ingredients used in the products nor the finished products were tested on animals, either by the company itself or anyone else. Some cruelty-free shoppers also extend this definition to vegan products. So what’s the difference between cruelty-free and vegan cosmetics? It’s really simple: vegan products contain no animal ingredients whatsoever, while cruelty-free products aren’t tested on animals, yet might contain animal ingredients. What I mean by “animal ingredients” is anything that comes from an animal or is made by an animal, like honey, beeswax, lactic acid (from milk), or animal fats. There are also some less obvious animal ingredients that are commonly used in cosmetics, such as Carmine, which is a red pigment extracted from crushed insects. Animal ingredients can also be found in makeup brushes, since the majority of them are made from goat, boar, horse, or even squirrel hair. What’s important to keep in mind is that “vegan” refers to the ingredients, while “cruelty-free” refers to the lack of animal testing. A product that’s both vegan and cruelty-free is therefore what’s least harmful to animals. 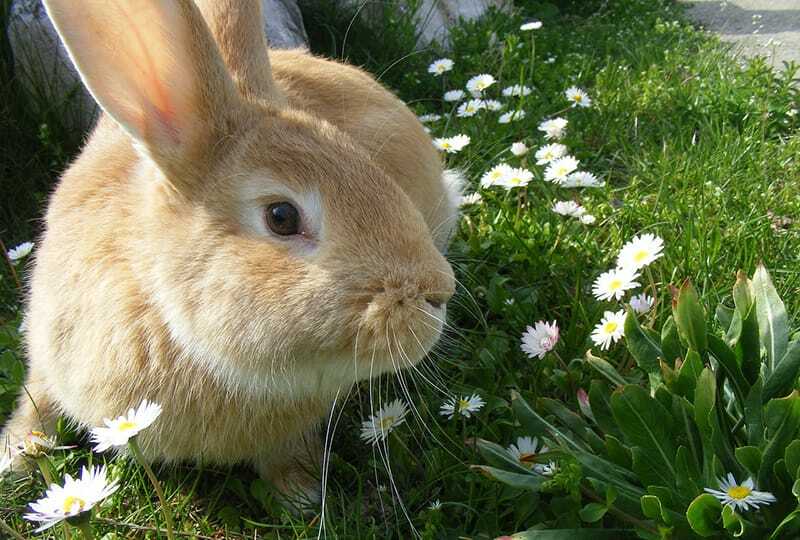 There are dozens of benefits to switching to cruelty-free beauty products! Most notably, by supporting cruelty-free companies, you’re voting with your money. Purchasing cruelty-free means doing your part to help convince companies to end their animal testing practices, and refusing to contribute to animal harm. Each year, more than 100 million animals are poisoned, maimed, and tortured in American labs. For cosmetics testing, a standard skin irritation test involves dripping chemicals into rabbits’ eyes, causing severe and permanent damage. With the available alternative testing methods as well as the thousands of already safe chemicals skincare and makeup companies can formulate their products with, there’s no reason not to choose cruelty-free cosmetics! But switching to cruelty-free beauty products will have advantages for your health too! Many cruelty-free brands use ingredients that have a proven safety record, meaning they’re considered safe. You’re therefore less likely to be using potentially harmful ingredients that have only recently been approved by the FDA. In addition to this, you’ll find many “green” cruelty-free brands that are 100% natural and free from chemicals, and this is huge for your health! There are green makeup, skincare, body care, and even cleaning product companies, and they’ll help you live a healthier lifestyle free from carcinogens, parabens, and way too many other nasty ingredients found in traditional products. There are several criteria to consider in order to determine whether or not a brand is cruelty-free. Luckily, you don’t have to dig out all this information yourself if you don’t want to, as there are several resources to point you in the right direction! If you want simple and reliable information on which brands are cruelty-free, a curated list is your best option. My list of cruelty-free brands at Cruelty Free Kitty is constantly updated to give you the low-down on what is and isn’t cruelty-free! There are also logos you can look for on a company’s website or products. One of the logos to look for is the Leaping Bunny, which is awarded by the Leaping Bunny program. This internationally-recognized program certifies companies as cruelty-free and assures that every brand on its list and bearing the logo does not test its cosmetics on animals at any point during production. They require the necessary paperwork from the company as well as its ingredient suppliers. Another logo to look for is PETA’s Caring Consumer bunny logo. PETA also keeps a list of cruelty-free brands, which is a good place for any new cruelty-free shopper to start! Curious to know which companies DO test on animals? PETA has a list for this as well. I hope that after reading this basic introduction, you’re better equipped to start your cruelty-free journey! All you need as a starting point is a reliable list of cruelty-free brands, and you’re well on your way to choosing animal-friendly products! Why do you want to go cruelty-free? Share it with me in the comments! Hello, thank you for breaking down the issues concerning cosmetics and cruelty. The use of animals whether in testing or in cosmetic products makes me very uncomfortable. Whilst I find it easy to navigate through companies that do not test on animals, I find it difficult to find which make-up and skincare products that do not use animal-derived ingredients in their products. Information on company websites is limited, and whilst some companies i.e. Urban Decay are forthcoming with their ingredients and make it quite easy for a consumer to know which products are ‘vegan’ and which aren’t, others are not. Glycerin is a widely used ingredient in cleansers and moisturisers, but how can I find out if the ingredients are animal or vegetable based? A lot of the obviously vegan companies, like Tata Harper, Kahina and May Lindstrom is far too expensive for me, so for now I would like to find a way to determine what ingredients are used in the products I like. Is there any way I can find out how companies produce their products? Hi Zainab! Thanks for dropping by! You’re totally right about the information on company websites being lacking. The best thing you can do is either e-mail or call companies directly. You’ll find a customer service e-mail or phone number on their website. You can ask them about animal testing beyond the finished products, and you can also ask them about specific ingredients such as glycerin. Note: Most companies don’t specify the origin of their glycerin, but don’t take that as meaning that it’s animal-derived. Contacting the company directly is the best thing to do.